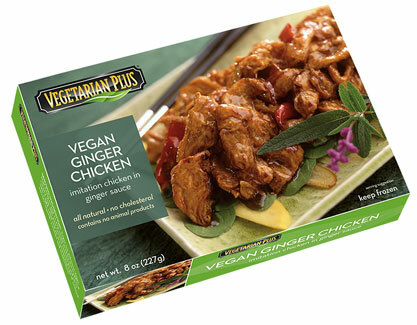 Peppered with a tinge of sweetness, Vegetarian Plus Vegan Ginger Chicken is perfect by itself, or, served over rice or your favorite noodles. Tastefully flavored wtih basil and ginger, this is a mouth-watering alternative for those who have been seeking vegan options that are anything but plain! It makes a quick Vegan Oriental Chicken Salad when you heat and serve over your favorite salad greens, too! 8 oz. (227g) packages are $7.49 each.